Website design is not an exercise in aesthetics. Of course, we don’t deny the fact that the visual factors of your website are going to earn it the most attention. But, when designing a business website, you should also remember that a great business website also needs great functionality and navigation in place. The primary purpose of owning a website is to make your business available globally, and if your website fails to generate leads globally, then those flashy exteriors are of no use in the long run. It doesn’t matter how attractive your business website looks, as if your customers are unable to find it in search engines, find it difficult to navigate it, or if they cannot understand the information in it, then, unfortunately, your investment is all in vain. 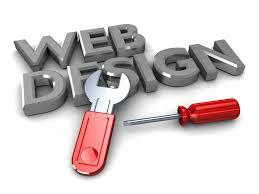 The fact is, SEO and Web Design go hand in hand. When planning a business website from a scratch, you cannot overlook the significance of SEO elements. By the grace of tech-giant Google, SEO is constantly evolving, so most businesses make some common mistakes in regard to website design. Not considering SEO from the beginning: It’s a common practice that to make their business websites more attractive and look like ‘a million buck masterpiece’, many business owners focus on glitzy features and elements that appeal to the eye. But, if you wish your website to resonate with your audience, you should integrate SEO in your design strategy right from the beginning of the process. For instance, let’s compare your website to a hotel. You could spend millions of euro in constructing and furnishing a beautiful hotel, but what if your customers are unable to find that hotel, and you are therefore unable to do any business? Integration of basic SEO elements in a web design makes your business website search engine friendly, right from the start. Not performing an audit on your existing website: Before you plan to make changes in your website or redesign it entirely, spend some time to analyse and figure out where it is troubling you the most. There are some aspects that you must check, such as total number of pages indexed, web traffic density, website rank, number of visitors, top performing keywords, monthly unique visitors, web pages receiving maximum traffic, etc. Analysing all these aspects makes it easier to decide which elements need changing. Not finding and including the right keywords: Different search engines such as Google, Bing, Yahoo, etc., are constantly pushing new updates with the objective of making themselves more user-centric and to offer more relevant search results. According to the latest SEO guidelines, SEO practices such as keyword stuffing in the web content is strictly prohibited. If you still stuff a specific keyword in your web page or blog, the search engines will immediately penalise your website. Your rankings are going to suffer in a major way. This doesn’t mean that keywords are of no use. As a matter of fact, they are more important than ever for SEO. Here at New World Digital, where we provide website design and SEO services to Dublin and the rest of Ireland, our SEO Consultants will explain how a typical search engine actually wants you to create high quality, original content around your keywords, instead of just stuffing them. Overcoming these common mistakes in your website design will offer you a good solid boost in SEO. If you wish to know more about how web design and SEO go hand in hand, or to know why you should hire a web design company with expert SEO knowledge, please feel free to contact New World Digital through our contact us page.